Staff, room, balcony and view were fantastic. So close to the beach! Great value for money. Easy stroll to numerous restaurants and bars. We stayed in three different types of apartments. We had a rear apartment on the second floor without seaview or pool view for 2 adults and 1 child. This room was quite small and minimal, had balcony to "mountains, mainly brushland". Our second room was a seaview room at the front of the hotel, this was much nicer, larger, brighter and had a beautiful balcony with seaview. The third room we had was a corner room on 2nd floor. This was perfection. A deluxe room, go for this if you can spare the extra money. Really spacious, two balcony's. One facing the pool, one facing the sea! Absolutely beautiful. Real apartment. Definitely would book either of the latter two again. Well I have actually, going back in September. 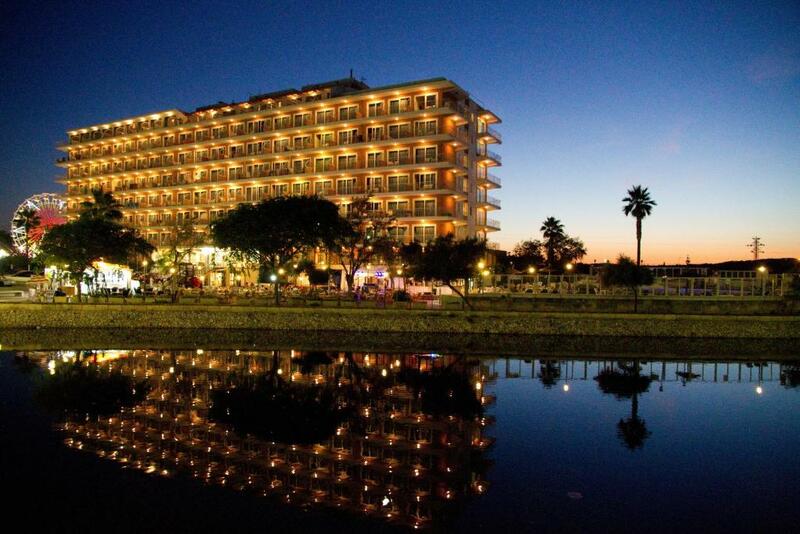 The resort itself has everything you need, the beach, the shops, the restaurants and a 10 minute walk to Sa Coma for a bit of more livelier atmosphere if you need it. The apartment was very spacious and the view from the balcony was amazing. Beach is 1 min from hotel doors. Breakfast and dinner surprised us - an extensive selection and very tasty. While the hotel is in the center of the city, there is peace and there is no problem sleeping. Dragons cave just 15 mins from this place by car. The accommodation is really nice, the room and the hotel itself was clean. The beach is just few steps away, and the sea was beautiful. The surroundings are nice, too. the place was amazing...we will be back Rob and wendy VanderMeer Thank you for organizing our room for another night.....we stayed one more night because we liked it so much. Everything was O.K. Very close to the beach. Very nice apartment. Everything was just fine! The staff was sympathetic and friendly. Great location on the beach. Cheap and cheerful. Very helpful staff. The location is great. Beach view, small shops and markets around. Apartamentos Playa Moreia This rating is a reflection of how the property compares to the industry standard when it comes to price, facilities and services available. It's based on a self-evaluation by the property. Use this rating to help choose your stay! 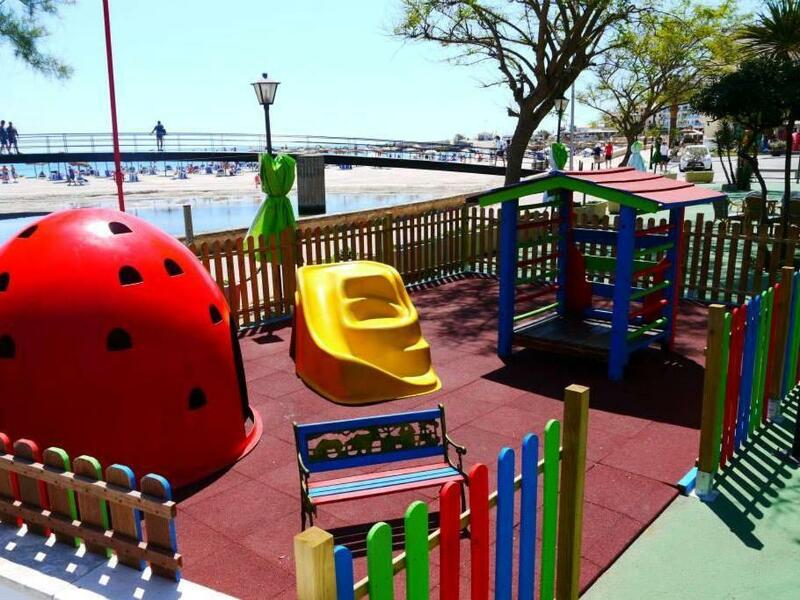 Located next to Cala Moreia Beach, Apartamentos Playa Moreia offers seasonal swimming pools, a snack bar and an air-conditioned buffet restaurant with show cooking. The functional studios and apartments have private balconies and well-equipped kitchenettes. 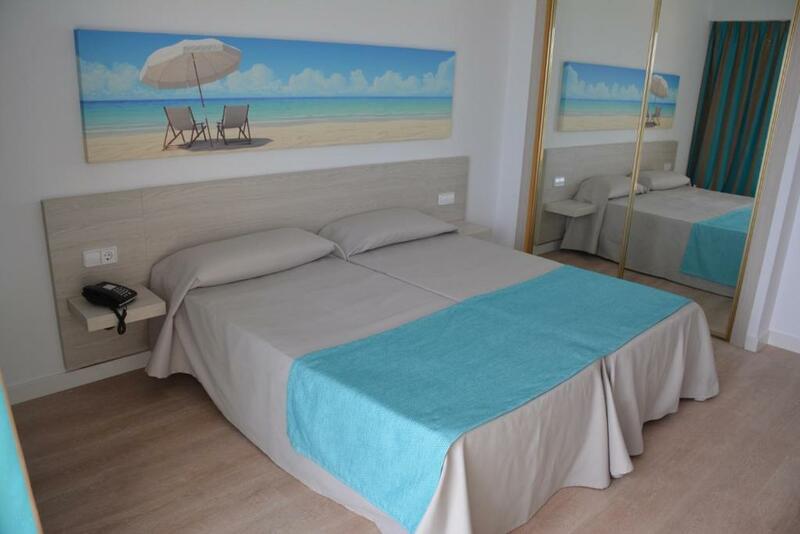 Renovated in January 2016, each Playa Moreia studio and apartment features a TV, a fan and a private bathroom with a hairdryer. Kitchenettes include a microwave, hob, kettle and toaster. A breakfast is offered every morning at the on-site restaurant, and a buffet dinner is served every night. 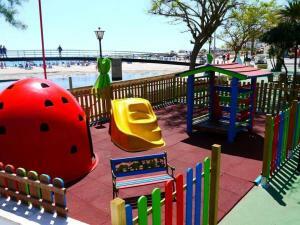 The complex has entertainment staff, a children’s play area and a games room. The 24-hour reception offers car and bicycle rental, airport transfers and excursions. Free on-site parking is available. A range of restaurants, bars and shops can be found in central Sa Coma, just 1,650 feet away. Cala Millor is 1.9 mi away, while the beautiful Caves of Drach are a 15-minute drive away. 뀐 Located in the top-rated area in S'Illot, this property has an excellent location score of 8.7! When would you like to stay at Apartamentos Playa Moreia? This functional open-plan studio offers a balcony, a TV, a fan and a private bathroom with a hairdryer. The kitchenette includes a microwave, hob, kettle and toaster. Air conditioning and a safe are available at an extra cost. This functional open-plan studio offers a balcony with sea views, a TV, a fan and a private bathroom with a hairdryer. The kitchenette includes a microwave, hob, kettle and toaster. A safe is available at an extra cost. This functional 1-bedroom apartment offers a balcony with mountain views, a TV, a fan and a private bathroom with a hairdryer. The kitchenette includes a microwave, hob, kettle and toaster. Air conditioning and a safe are available at an extra cost. This functional 1-bedroom apartment offers a balcony with sea views, a TV, a fan and a private bathroom with a hairdryer. The kitchenette includes a microwave, hob, kettle and toaster. A safe is available at an extra cost. This functional 2-bedroom apartment offers a balcony with sea views, a TV, a fan and a private bathroom with a hairdryer. The kitchenette includes a microwave, hob, kettle and toaster. Air conditioning and a safe are available at an extra cost. This functional 2-bedroom apartment offers a balcony with sea views, a TV, a fan and a private bathroom with a hairdryer. The kitchenette includes a microwave, hob, kettle and toaster. A safe is available at an extra cost. This apartment features a kitchenware, sofa and stovetop. Air conditioning and a safe are available at an extra cost. This apartment features a microwave, tile/marble floor and private entrance. A safe is available at an extra cost. This studio has a tile/marble floor, electric kettle and toaster. Air conditioning and a safe are available at an extra cost. This apartment features a seating area, electric kettle and balcony. Air conditioning and a safe are available at an extra cost. House Rules Apartamentos Playa Moreia takes special requests – add in the next step! Apartamentos Playa Moreia accepts these cards and reserves the right to temporarily hold an amount prior to arrival. Please inform Apartamentos Playa Moreia of your expected arrival time in advance. You can use the Special Requests box when booking, or contact the property directly using the contact details in your confirmation. The staff at the reception were confused and not very pleasant. Wi-Fi is at the hotel only for a fee and the equipment is older - we both expected. There is no air conditioning in the apartment, but a ceiling fan that sufficed us. Even if the offer at the breakfast buffet is large, I would say that the it was not so good. Rooms without air conditioner is nonsense. Ceiling fans are slow and barely do something. Strange shower, you tend to flood bathroom with it. You have to pay extra for almost everything. The staff was absolutely terrible. On booking.com we were told we would be given an airport shuttle, wifi, and air conditioning. The hotel never got back to us about the shuttle, so we had to take a taxi for 100 euros. When we arrived, we were not even given the OPTION to buy air conditioning for the room. We also were not given wifi. The website false advertised these. Three different staff members all told us different things about the hotel. We also had an ant infestation in our room and the staff refused to change our room. When trying to book transportation back to the airport, we were told to take a bus that would pick us up RIGHT outside of the hotel. We stood waiting for over 30 minutes, and the bus never arrived. We went in and asked and they told us we had to walk down the street to catch the bus and that the next one was not coming for another 2 hours. We had to take another 100 euro taxi ride. All equipment has to paid as additional payments including AC (5€/night) or WIFI which was supposed to be included. Nowhere was mentioned these costs to be additional. My family is consisted of two adults and three children. The room was a perfect fit. Two large rooms with a kitchen and restroom.